I’ve been driving around in my mighty Toyota Starlet 1997 for about 18 months+ now and have finally gotten tired of only having a radio as my only source of audio. I can get away with using radio when in the CBD with good alternative stations like Active who don’t have too many ads, but when doing roadtrips often there are large sections with no coverage or only poor quality commerical stations. So I decided to buy a new stereo and settled on a Sony CDXGT500U stereo – primarily due to it meeting my two requirements in the cheapest formfactor – both an AUX 3.5mm input jack AND a USB socket for taking MP3s (sadly no Ogg or Flac tho). Being a sucker for DIY I decided to have a go at installing it myself – I didn’t need anything too flash like new speakers or cable runs, just wanted the inputs really. 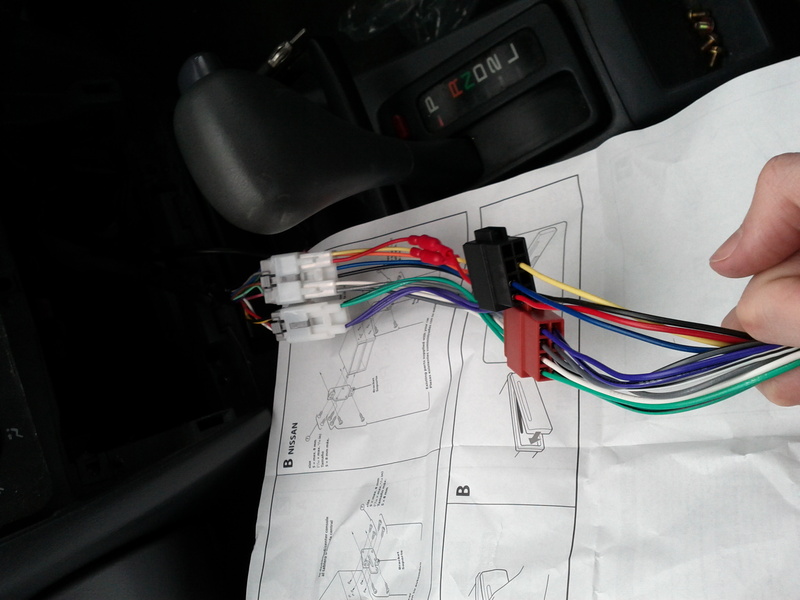 Fortunately the installation of the stereo was pretty easy, but I ran into the good old problem of proprietary connectors/standards used by the different vendors. 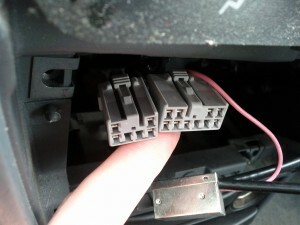 There’s no single standard for the mounting of devices in the car dash – in the case of this stereo, the mounting brackets supplied aren’t required and instead it bolts directly into the Japanese-style mounts. Sony doesn’t use a standard for their stereos. Neither does Toyota use a standard for their cars. To make it work (without going to the pain of soldering/custom wire wrapping) I had to buy *two* different adapters – once for Sony->ISO and another for Toyota->ISO which cost a good $15 each from retailers. We all love lots of daisy chained adapters! 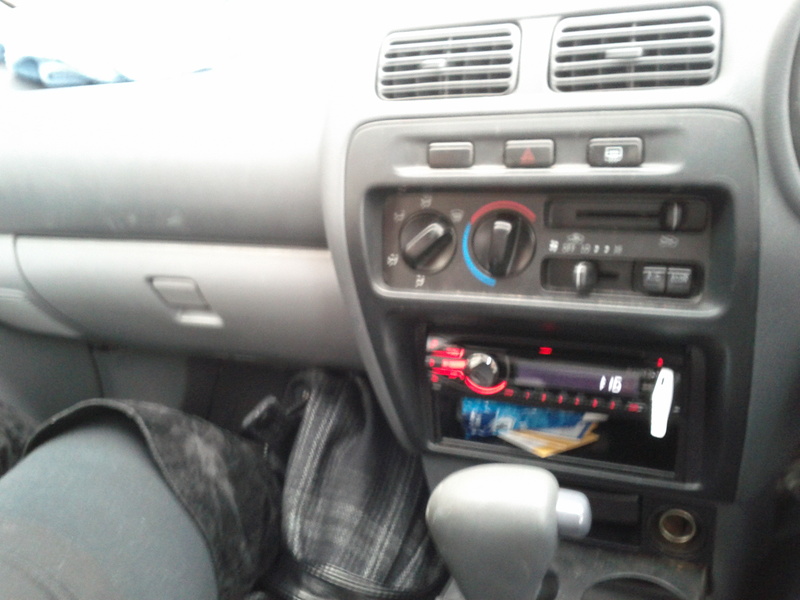 On the plus side, I now have a new stereo installed, dragging my car out of the 80s and into 2011. It’s also the most expensive thing in the car now, although being a Starlet, it’s hardly a theft magnet. This Starlet be totally pimped yo! 4 Responses to Standards people, use them! I actually used to put car stereos in for a living, and such at thing as your $15 adaptors only existed in the US Car Stereo magazines we would drool over. 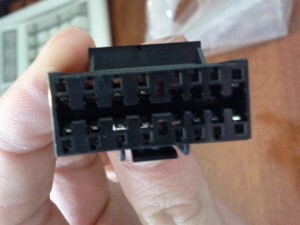 We never bothered soldering, but we would simply chop off the old plug and use crimp bullet connectors. Properly done, never had any issues, and with the male and female plugs you could remove when it came time to sell the car. The Sony unit did come with a plug->wires adapter, so you can still do the old manual method if desired or if required due to the options of your car, but I have to say, those adaptors are worth the messing around – once I got them, took me only 15mins to install the new unit. Hah, I was about to say your dash looked EXACTLY the same as mine, then I re-read what kind of car you have… makes sense given you have EXACTLY the same car as us. Anywho, we still use the original stereo with a tape-adapter which is usually hooked up to an iPod or my phone for radio, but it’s nice to know what we’re going to have to do if we want to update it. When I brought the car it came with one of those adapters, but after leaving it unused for several months before trying the stereo, the sound was just horrific – worse than the worst radio – I suspect that the tape drive may be pretty worn out or the heads are wrecked.